We, at PNTC Colleges, are committed to provide consistent quality services to our customers compliant with relevant requirements. We ensure that our services exceed both industry standards and client specifications. We are likewise committed, not only to continual improvement in order to realize the provisions of Quality Education and Quality Training and Assessment Services. PNTC Colleges has been duly certified by the Technischer Uberwachungs Verein (TUV) Philippines to have conformed to the quality standards of ISO 9001:2008 in April 2006 and was audited to ensure quality management system in August 2010. 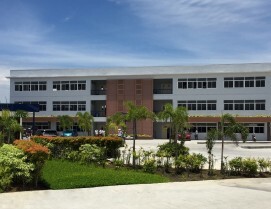 Likewise, at all times, PNTC has striven compliance to standards of excellence required by the Commission on Higher Education (CHED),the Technical Education and Skills Development Authority (TESDA), and the Maritime Industry Authority (MARINA). 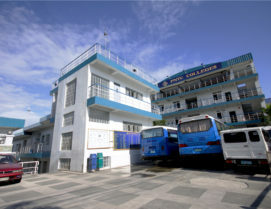 In addition, PNTC was given authority by CHED to offer BS Marine Transportation, BS Marine Engineering, BS Customs Administration, BS Business Administration, BS Accountancy, BS Accounting Technology, and Bridging Programs for BS Mechanical Engineering and BS Electrical Engineering to BS Marine Engineering, as prescribed by CHED memorandum Order (CMO) 38 series of 2005. 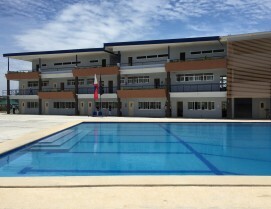 Its maritime educational courses have the most complete facilities in the Region IV.